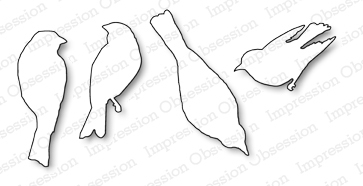 Impression Obsession - Bird Die Set Discounts Apply ! This is a set of four separate dies wired together, they can be separated by snipping the wires. The birds are around 3/4 wide and range from 1-1/2 to 2 long.